"She traced the delicate pattern with a finger tip. She remembered how the grand old lady had worn it with pride. It was now time to pass it on." 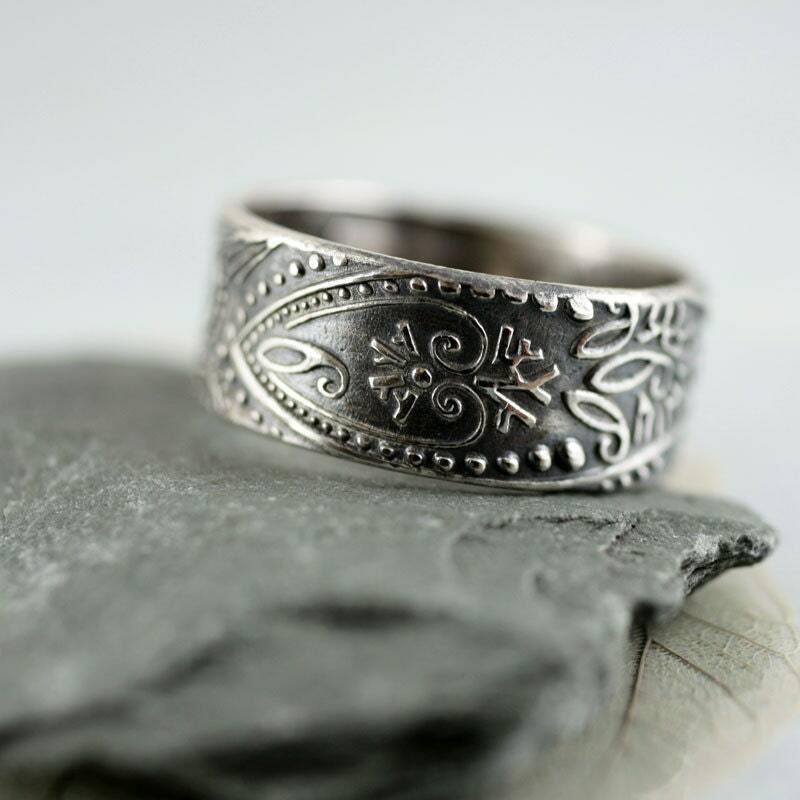 8 mm wide silver band imprinted with a gorgeous old fashioned pattern of paisley - with dots and swirls reminiscent of delicate lace. 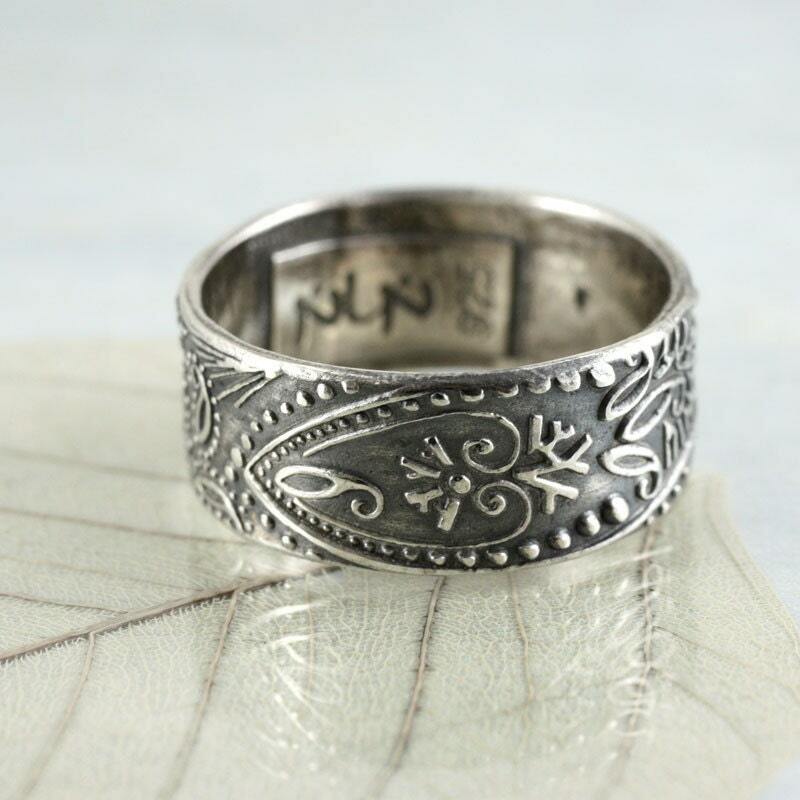 The ring is heavily patinated, leaving only the raised paisley pattern as bright silver. It makes it glitter and shine as your hand moves. 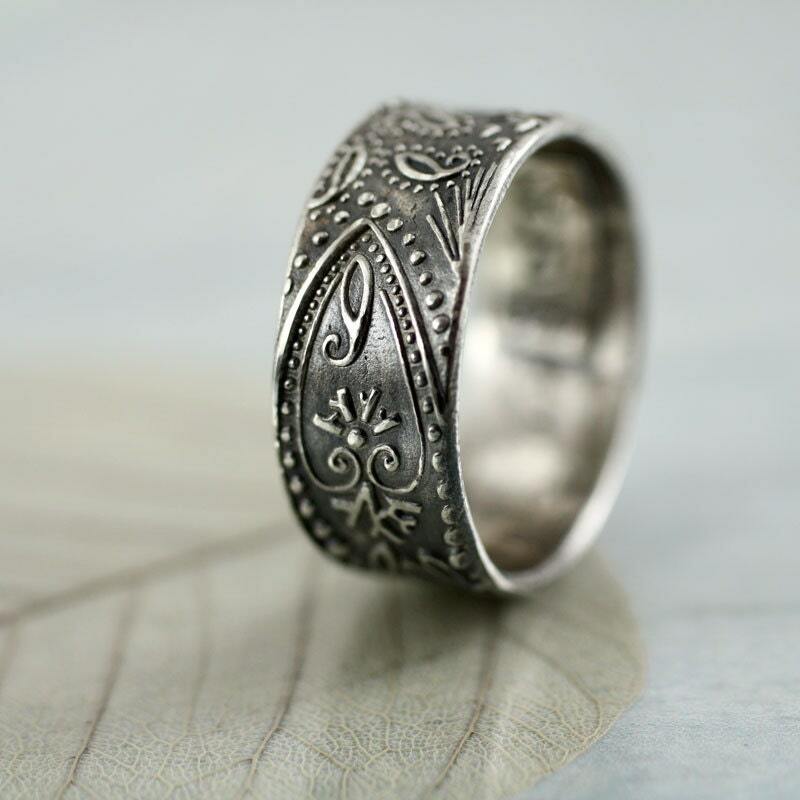 It is made from reclaimed and recycled silver. The inside bears my makers mark and the 925 of sterling silver. If you would like it engraved on the inside I can do that for an extra fee. Contact me for details. 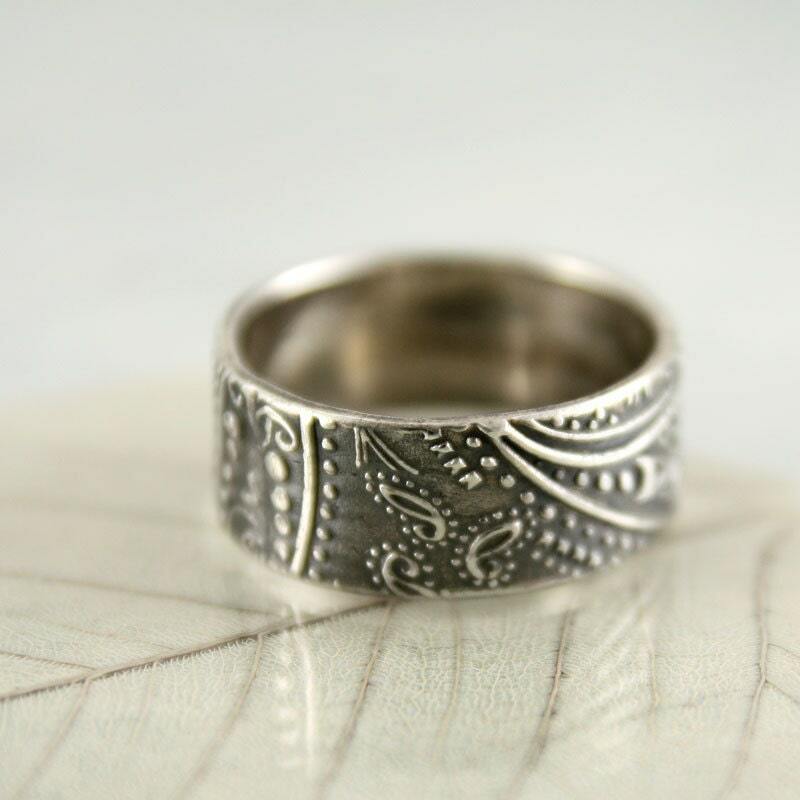 Perfect as a wedding band or graduation gift to a daughter. If you don't know your US or UK size, just measure the inner diameter of a ring you already have and let me know in the note to seller on checkout. 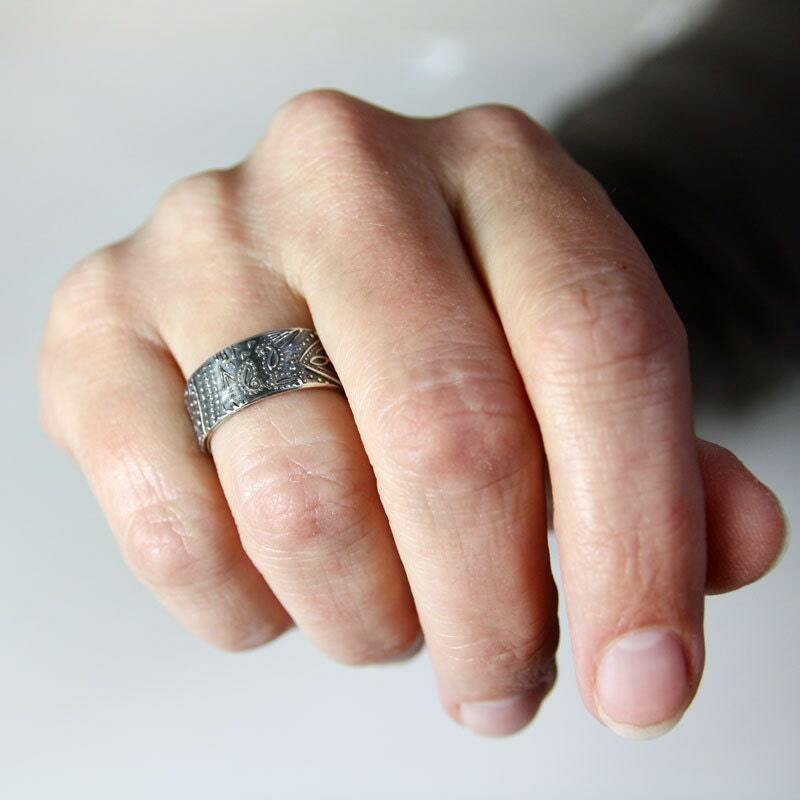 Do note that wider bands might need to be half a size larger than skinny rings to fit comfortably (0.5 US size, 1 UK sizes as a guide). Made to order in ring sizes up to size US 10. (Any larger than that and the weight will exceed 7.78 grams and the ring has to be hallmarked at extra cost. If you want one, contact me for a price in your size). The ring is not sharply, clearly embossed as advertised in the picture. 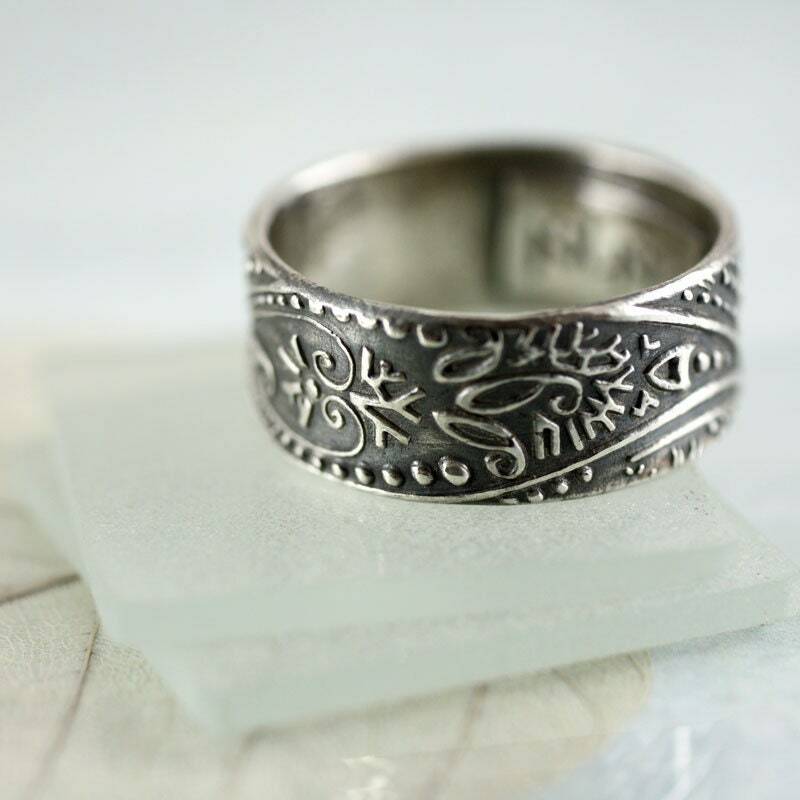 The embossing is very light, making the ring appear quite different than in the photo.